Published on February 9, 2016 on Motherboard.vice.com, Written by Kaleigh Rogers. You’d be hard pressed to find someone who would argue that killing a flock of chickens by shutting down ventilation systems to their barn and letting them slowly overheat and suffocate is a pleasant way to go. In fact, a year ago, this method of killing sick birds—called ventilation shutdown—was not permitted by the Department of Agriculture. But after a devastating bout of highly pathogenic avian influenza (HPAI) decimated US chicken and turkey farms last year, the USDA approved and has started using this controversial killing technique to cull infected flocks at massive, commercial farms in an effort to prevent another outbreak. Nobody is keen on killing hundreds of thousands of chickens at a time—aside from it being a grim task, it also results in a huge loss of revenue—but it’s a necessary evil to shut down disastrous outbreaks. The USDA acknowledges that ventilation shutdown is not a great way to go, though a representative told me the agency can’t say for sure how long it takes birds to die this way. The fact that the USDA would resort to a killing technique most experts agree is less-than-ideal at best and inhumane at worst, without fully understanding what this method does to the animals, shows how ill-prepared we are for dealing with a massive agricultural epidemic. If we want to be more prepared in the future, shouldn’t the USDA be looking for better ways to kill half a million birds at once? When a flock of poultry is infected with HPAI, swift action is imperative. As long as the birds are alive, they actively shed the live virus through their feces and saliva, which increases the risk of the disease spreading to other farms. So when the virus is detected, the USDA requires the flock to be depopulated—a term meaning the mass killing of livestock in response to a disease outbreak—within 24 hours. In some cases, like on some turkey farms in Indiana last month, this means resorting to ventilation shutdown. 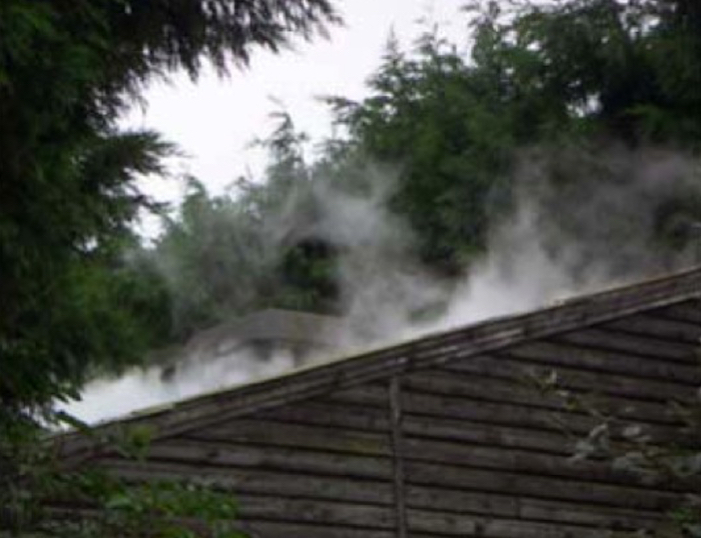 It’s true that, from a procedural standpoint, ventilation shutdown is the option that can be executed most quickly. Other methods, like gassing the birds with carbon dioxide or suffocating them with a dense CO2 foam, require more time to orchestrate: you have to find a way to get a CO2 tanker to the farm, pump the gas into the barn, and wait for the concentration to get high enough to depopulate the flock. Depending on the location and size of the farm, this could take more than 24 hours to complete—beyond the USDA’s deadline. Ventilation shutdown, on the other hand, is just a matter of flipping a few switches. The USDA guidelines for ventilation shutdown are to turn off the ventilation systems, then raise the temperature inside the barn to at least 104F for a minimum of three hours. This can be done by turning up the temperature, but because the barns are so densely packed they can sometimes heat up that much just by virtue of the air systems being shut off. 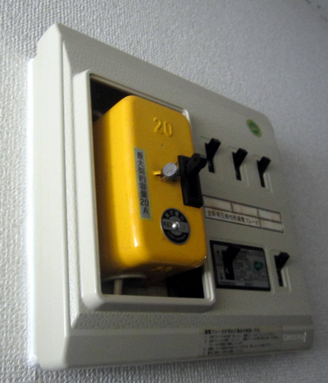 It’s happened in the past by accident, when pranksters shut off power or electrical failures cause the air systems to shut down. From start to finish, the actual process is the quickest way to depopulate a flock. The HSUS claims it could take birds hours to die through ventilation shutdown, but there are no studies that have looked at the time to death with this method. USDA officials have previously estimated the process takes 30 to 40 minutes to kill birds, but when I reached out to the agency, it couldn’t confirm how long it takes birds to die this way. “The majority of birds will die quickly, but it is advisable to maintain the recommended temperature for three hours to account for poor heat distribution and, importantly, inactivate much of the HPAI virus in the poultry house,” Andrea McNally, a spokesperson for the USDA Animal and Plant Health Inspection Service, told me, stressing that ventilation shutdown was considered a last resort option. When I asked McNally to clarify what the USDA considered “quickly,” she said she couldn’t. “The variabilities of structures and density of poultry make it hard to give you an easy answer,” McNally said. It’s not all that surprising that the USDA doesn’t know precisely how long it takes birds to die via ventilation shutdown, because nobody really does, according to Patricia Turner, a veterinarian and pathobiology professor at the University of Guelph who has researched depopulation methods and is a consultant on the American Veterinary Medical Association’s depopulation panel. One of the arguments in favor of using ventilation shutdown is that if farmers delay in an attempt to use another method like CO2, the virus could spread, putting even more animals on death row. But if there are other, potentially more humane methods, why aren’t we set up to put them in place quickly if needed? Kiezebrink has worked around the world to help governments manage avian influenza outbreaks, depopulating farms from the Netherlands to China. Ventilation shutdown isn’t widely used in other countries, according to Kiezebrink (gassing is usually preferred). It was green-lit in the UK in 2006 but never implemented. It’s far from the most gruesome depopulation method around—in the past, some countries have resorted to burning or burying birds alive—but Kiezebrink said the lack of understanding of the method’s effect on birds should rule it out, at least until further research is done. But other options aren’t cheap. The technology Kiezebrink once marketed—including a machine that kills birds instantly by dragging them through electrified water—cost as much as $600,000. 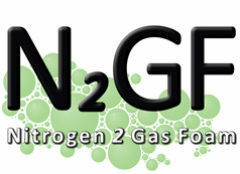 Recently Kiezebrink said he’s been researching a nitrogen-based foam that would, he says, basically just put the birds to sleep when inhaled. But this, too, would likely be too expensive to use on a widespread basis. So where does that leave us? The good news is, after the ventilation shutdown in Indiana, there haven’t been any more reports of HPAI so far this year. That buys us some time to work on more humane methods, including potentially developing vaccines, Turner said. She said when the AVMA completes its depopulation guidelines, the USDA will likely need to reassess its use of ventilation shutdown. This presentation is based on the practical experiences in culling poultry in Germany, gives an overview of the culling techniques currently in use in Germany. It is presented by dr. Ursula Gerdes, dr. Josef Diekmann and ing. Rainer Thomes. Together, they form the expert team on eradication of animal diseases, working for LAVES. 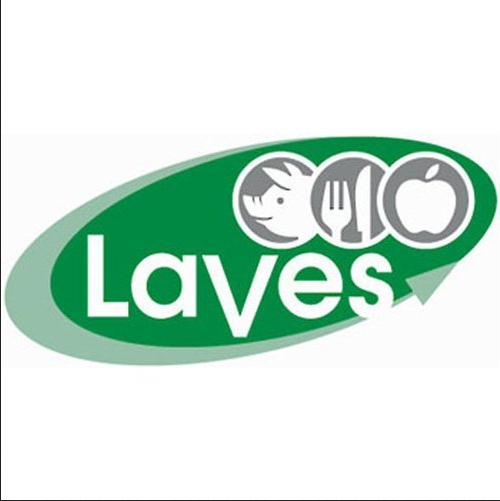 LAVES is the Lower Saxony State Office for Consumer Protection and Food Safety, located in Oldenburg, Germany. With around 900 employees they are entrusted with tasks in the areas of food and utensil inspection, feed inspection, meat hygiene, veterinary drug monitoring, eradication of animal diseases, disposal of animal by-products, animal welfare, ecological farming, market surveillance and technical process monitoring. WattAgNet Online, 19 January 2016. Emergency depopulation method approved by USDA in September 2015 has been successfully initiated. Depopulation of birds affected by H7N8 avian influenza by ventilation shutdown has been successfully implemented for the first time. 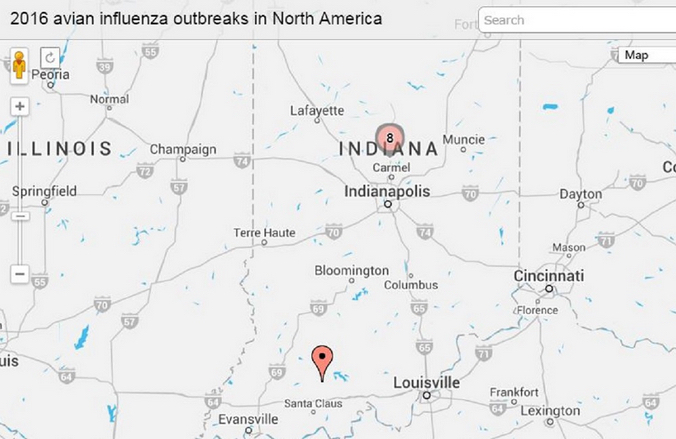 Within the past week, 10 Indiana turkey flocks have been affected by H7N8 avian influenza. 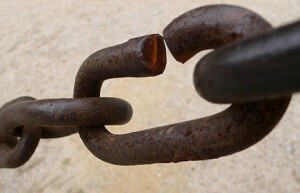 Of those ten flocks, one was classified as highly pathogenic while eight others were of the low pathogenic strain. Tests conducted on the tenth flock have not yet determined whether the birds were affected by a highly pathogenic or low pathogenic strain. According to information provided by the National Turkey Federation, six of the ten affected flocks were successfully depopulated by January 18, while depopulation efforts were underway in the other four. Ventilation shutdown was effectively utilized, according to NTF. In addition, depopulation by foaming was also done, but below freezing temperatures caused operational difficulties with foaming machines. Ventilation shutdown was approved by the USDA in September as an emergency method to depopulate poultry flocks that have been affected by avian influenza. The agency approved the conditional use of ventilation shutdown because traditional depopulation methods did not always kill affected birds quickly enough to control the spread of the virus as effectively as desired. However, since the last time a U.S. flock had been infected with avian influenza was in June 2015, veterinary officials had not yet had the opportunity to implement ventilation shutdown until the Indiana flocks were infected. 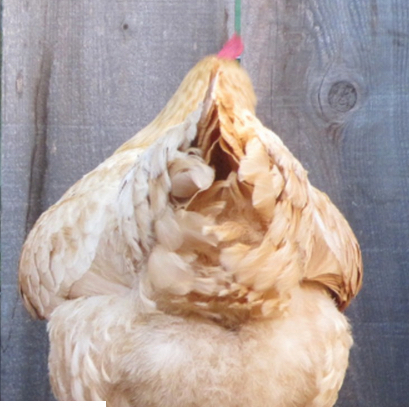 The latest outbreak of High Pathogen Avian Influenza in the USA and Canada in the spring of this year and the inability to avoid animal welfare catastrophes ultimately proves that new emergency response strategies are needed. Strategies that are based on taking away the source of infection instead of killing as many animals as possible within 24 hours, regardless the consequences. The statement that “It’s possible that human infections with these viruses may occur” and that “these viruses have not spread easily to other people” is confusing. Humans can become infected without showing clinical signs. They can become the major carrier of the infection. Especially during depopulation activities, viruses easily transmit through responders. Tasks like taking layers out of their cages and transport the birds manually through the narrow walkways between the cages, and disposal of infected animals are specific risks that need to be avoided. Simply switching of the electricity so that sick birds don’t have to be handled is not the solution. Although humans are supposed to be less susceptible, they can become carrier of the virus. Only the highest level of biosecurity could prevent the transmission through the humans and materials that have been in direct contact with infected animals and materials. Simply switching of the electricity so that sick birds don’t have to be handled is not the solution. Avoid killing animals is always the better option and in Germany, the discussion on the strategy based on neutralizing risks and is in the making. Avoiding situations demands a proactive role of the poultry industry. Who takes the responsibility to flip the switch? On September 18, 2015 the USA Government and the American egg producers announced that they would accept the Ventilation shutdown method as a method of mass destruction of poultry when other options, notably water-based foam and CO2, are not available for culling at the farm within 24-36 hours. This is actually the case on all caged layer farms in the USA, in particular in Iowa. The Ventilation shutdown method consists of stopping ventilation, cutting off drinking water supply, and turning on heaters to raise the temperature in the poultry house to a level between 38 Celsius and 50 Celsius. Birds die of heat stress and by lack of oxygen in a process that easily takes over after a period of at least 3 days. Ventilation shutdown is a killing method without prior stunning of the birds, and as such is contrary to all international Animal Welfare standards. Animal welfare specialists in disease control strongly oppose this introduction of the cruelest method of killing poultry that lost their economic value. 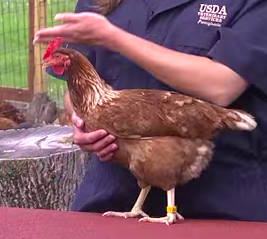 The Humane Society (HSUS) described it as the “inhumane mass baking of live chickens”. 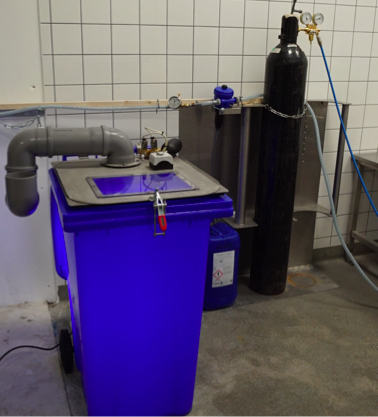 With adequate preparation the alternative methods, like the water-based Anoxia foam method, can be available at each farm for immediate use in case of an outbreak. The ban of the Ventilation shutdown method should therefore be maintained and the Anoxia method should be further developed so that is suitable for application to caged layers and turkeys. In Germany, such a system is currently under development and will become commercially available soon. The poultry industry in the USA ignores this development and asks for a formal approval of the Ventilation Shutdown method. Speaking on August 19, 2015, during the United Egg Producers (UEP) national briefing webinar, UEP President Chad Gregory explained that much research is being done concerning the feasibility of such a depopulation program. Quick depopulation of affected flocks is important, Gregory said, because the sooner a flock is depopulated, the risk of the virus going into fans and out into the atmosphere becomes smaller. Gregory said ventilation shutdown – if approved – would probably only be used in a worst-case scenario or when all other euthanasia options have been exhausted. Gregory did not elaborate on how to adequately prevent outbreaks and how to promote more animal-friendly methods. The latest draft of the USDA Foreign Animal Disease Preparation Plan was published on August 25, 2015, and the publication of the Ventilation Shutdown Evidence & Policy on September 18, 2015, effectively created facts on the ground. This was done in a unilateral way, without any political consultation, without informing trade partners, and without a fundamental discussion whether or not the Ventilation Shutdown method should be made acceptable at all. From a strategic point of view, the US poultry industry created an unprecedented commercial advantage for itself. Their competitors in Europe are responsible for biosecurity and for prevention of risks of infection, based on EU legislation. Each country has to implement a National Emergency Response plan based on Directive EC 1099/2009. In Germany, public private partnerships called “Tierseuchenkasse” are responsible for the preparation of emergency response to outbreaks like HPAI, and work on an insurance model. The German government, the EU and the industry collectively carry the costs for emergency response activities. This is not the case in the USA. There, USDA APHIS is responsible for response activities and the taxpayer is paying the costs. This is a significant advantage over European producers, and with the TTIP ‘free trade’ negotiations in their final stage, the European poultry industry will be confronted with a significant distortion of trading conditions by this abandonment of animal welfare as a boundary condition in culling operations in the USA. US egg producers are actively creating facts that will be very difficult to undo, and with the Ventilation Shutdown Method officially accepted by USDA Aphis, the industry effectively avoids to take its responsibility for risks inherent to the type of production with 31.000.000 caged layers, packed on 35 farms, and caged layer farms with an average size of 913.000 caged layers per farm. The consequences will be devastating: all Asian producers, who routinely use cage systems to produce eggs, will follow the example of the USA, just to be able to compete with the American poultry industry. For the producers within the EU, it will even more difficult to compete with the US poultry producers. The ventilation shutdown method will on the mid- and long term destroy cage free egg production policy in Europe, putting the EU egg production methods as demanded by the European consumers at risk. In case the European industry would not able to produce against compatible prices, the consumers will become completely dependent on eggs produced outside the EU. As the situation is now, TTIP will not allow for mandatory labeling of animal welfare on eggs, so that EU consumers only will have the price as their decision criterion. Senator Ron Johnson calls emergency response an economic issue; the Foreign Animal Disease Preparedness & Response Plan puts the limit for Stamping-Out on 24 hours; official guidelines introduce the Ventilation Shutdown method as a legitimate culling method in situations described as “where all other euthanasia options have been exhausted’ – the Ventilation Shutdown method in the USA is a fact with disastrous consequences for animal welfare and a new obstacle to TTIP. In order to become one step ahead of an outbreak of high pathogen diseases like the current H5N2, the veterinary authorities need to stop the outbreak immediately after the first signals occur. Strict and thorough biosecurity measures are the most fundamental feature to protect poultry flocks on farms. Without functional culling techniques, the options to effectively and efficiently cull in average more than 925,000 chickens per farm (in Iowa, USA) are limited: either by macerating the chickens alive – or by ventilation shut-down (closing down all ventilation, placing heaters inside the house, and heat the entire house to a temperature higher than 600 C). Although both methods cause death of the birds, it has not been proven to be effective nor efficient. The primary goal to slowdown outbreaks and bring it to a complete stop but macerating live birds and killing them by heat stress and lack of oxygen would be against all International Animal Welfare standards. Animal welfare specialists in disease control strongly oppose against the introduction of these most cruel methods of killing poultry and argue that the ban on these methods should be maintained and alternative methods need to be considered.